Preheat oven to 350 degrees Fahrenheit. Line and grease three six inch cake pans, or two eight inch cake pans. Beat together the butter and sugar. Add the lemon juice and zest, salt, vanilla, and baking powder, and mix until fully incorporated. Beat in the eggs, one at a time. Add the flour and buttermilk, and mix thoroughly. Divide batter evenly between cake pans (1 1/3 cup of batter into each six inch pan), and bake for about 20 minutes, until a toothpick inserted into the center of the cake comes out clean. The cake doesn’t brown much, but is done once the top of the cake bakes through and is firm to the touch. While the cake bakes, make the raspberry compote. Cook down the raspberries, sugar, and lemon juice over a medium low heat for 10 minutes, stirring frequently. Remove from heat, and allow to cool. For the frosting, beat together the cream cheese and butter until fluffy. Add the salt, and lemon juice and zest, then slowly incorporate the powdered sugar. Add in heavy cream as needed, until desired consistency is reached. Once the cake layers have cooled, top each layer with a slather of frosting and raspberry compote. Apply a crumb coat, and let this firm up in the fridge for at least 30 minutes. Once the crumb coat has set, apply another layer of frosting, and decorate as desired. 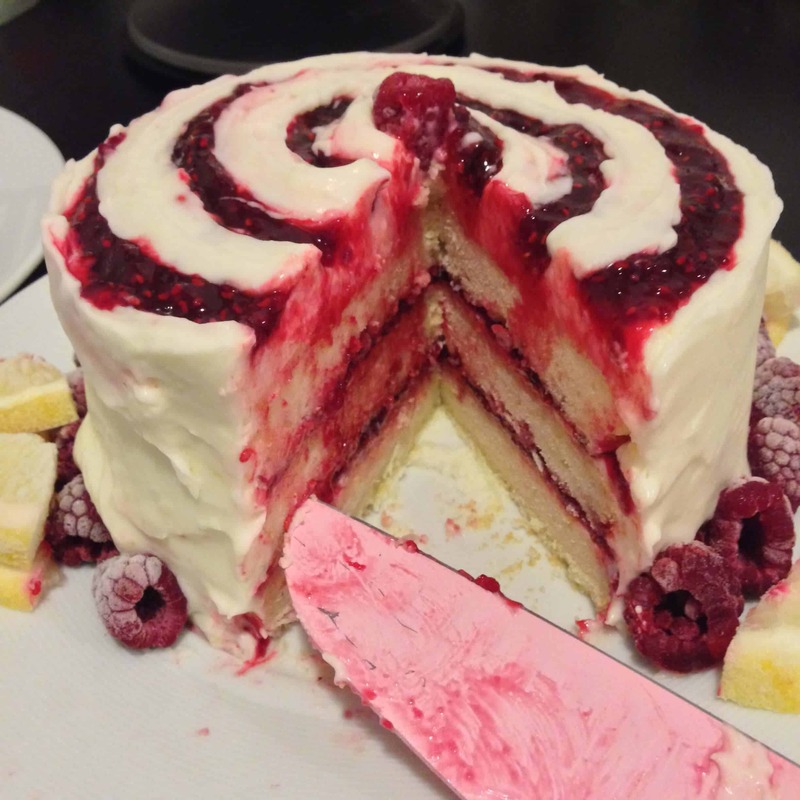 I decided to swirl my frosting with some of the raspberry compote, and added a lemon wedge as a garnish. 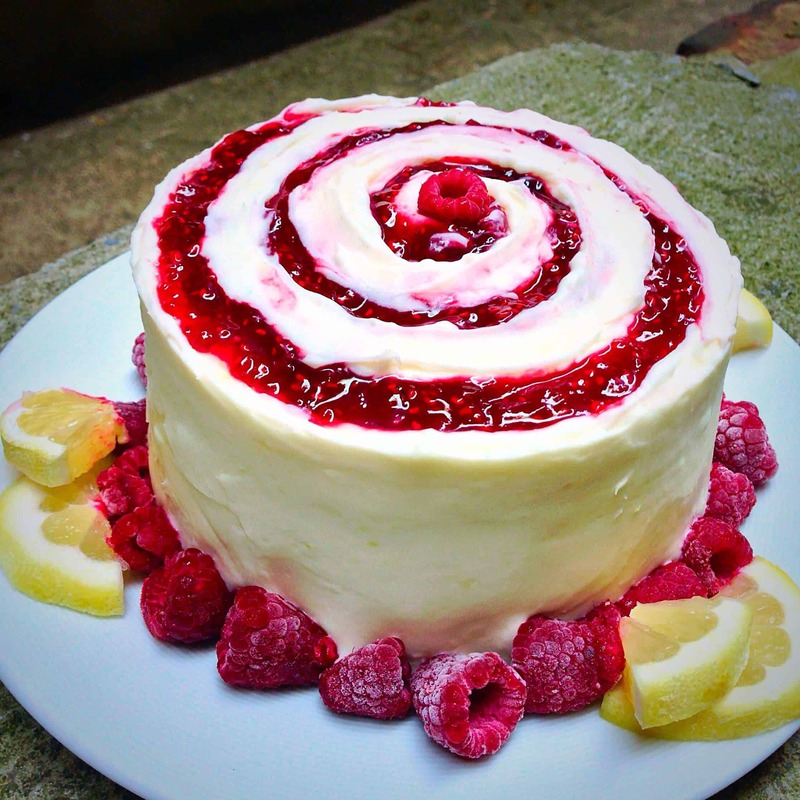 The raspberries developed a little layer of frost when I place the cake in the freezer to speed set the frosting. Surprisingly, they tasted great frozen with the cake! It was perfect for a hot, humid day in the city. 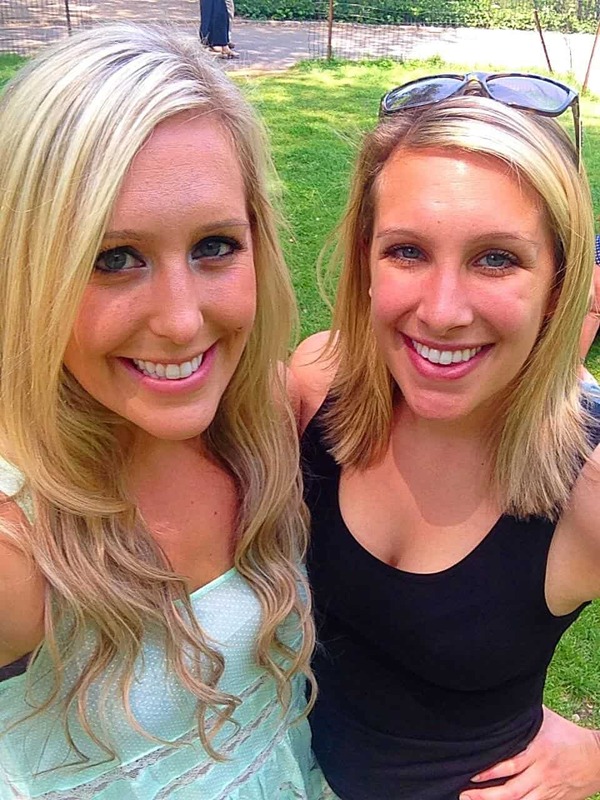 So fun that your sister visited! Love the pic of you two. That cake sounds so delicious! Wow! No wonder you loved it growing up! And it looks so beautiful! That cake looks simply amazing!! Good Morning! I made this cake last night and it was quite dense! Should there also be baking soda included to help it rise? This is a butter cake base, so it is much more dense than a sponge cake! It also bakes relatively flat, which is how the recipe is supposed to be formulated! If you want a lighter cake base, I’d recommend trying a sponge cake base next time! Hi Chelsea, I want to make this cake but I want it to be a huge 4-layer cake. I have 7-in cake molds. Do you know how to convert this recipe to accommodate different pan sizes?? Please advise!! Hi!! What would be your thoughts on this? If I have made extra compote and after I put the batter in the pans, I swirl some compote lightly through the batter before baking? Making this today and thought I’d ask! Thanks so much! It might require you to bake it slightly longer, but i think it would taste great! The top will probably brown a bit more than normal though.